Ordering is easy, just click the product you require, choose your size, stock and quantity and add the item to your basket. Then select your turnaround time and delivery method and enter your shipping instructions. The final step is to enter your payment details, upload your artwork and your order is placed. You will then receive a confirmation email to confirm the order. I’ve placed my order but just noticed a mistake on my artwork? It is very important that you ensure that all information is correct before you place your order. But unfortunately mistakes do happen. If you do find that you have made a mistake it is very important that you contact us immediately. We want you to be happy so if your job has not been processed then there will be no charge and we will await your new file(s). If however your job has been completed or processed then unfortunately we would need to charge you the extra. How do I supply files for printing booklets? Will you check that my leaflet folds correctly? Yes anything that has a fold or perforation will be checked before the whole job is run. Will you print my file without checking it? No, we will always check your files before we print. If we find anything wrong with them in terms of quality, position, size etc. we will always contact you and advise you on the best way to sort it. If you can’t, we will offer a solution. Unfortunately we don’t check them for spelling errors. Can I come and talk to you in person? Yes you are very welcome to pop in, one of our experienced staff will be more than happy to help and advise you. What size do I need to supply artwork for large format banners or posters? You can supply the file 4 times smaller in order for it to be easier and quicker to process. ie; a 2 metre x 1 metre banner can be supplied at 500mm x 250mm, we can then scale it up, without losing any quality. (Please refer to the individual product resolution guides). My file is too big to email? Yes we offer a full design service if required. Otherwise we would need a print ready file supplied. Have you got customer parking? Yes you can park outside to collect goods for a short time, but for longer periods a parking ticket will need to be purchased from the ticket meter. Mon – Fri 9am – 5.00pm, out of hours printing can be arranged. Do you print small 1 off print jobs? Can I get my job same day or next day? Yes we offer a next day print and delivery service. For same day you would need to supply the file pre 9.30am and collect from us in store. For next day you would need to supply the file to us pre 9.30am for us to send out on a next day delivery service. Yes you can but we would need to charge a little extra, please call us to discuss. This depends on the service level that you have selected. Orders placed under our Express Delivery option incur a surcharge of 15% added at the time of checkout and you can expect to receive your order within 3-4 working days from the time the acknowledgement was sent. The first working day commences on the working day a print ready PDF file is received by us provided it is received before 9.30am on that working day. If received after 9.30am then the first working day will commence the following working day. If we’ve agreed a date and time – it will be ready for you as agreed! In the unlikely event that part of your order isn’t despatched on time we’ll provide a credit of 15% of the items full value if Express turnaround has been selected and 25% credit if Standard turnaround has been selected. This credit can be redeemed off your next order. Your order will be delivered by our preferred partners APC Overnight who publish on-time performance of 99.8%, so if “1 in 500″ is too risky for you, please contact us to discuss delivering your order by dedicated vehicle. The price list indicates basic prices of products against the speculative quantities. There are additional costs for shipping dependent on the delivery schedule you choose. The final cost will be shown once all this criteria is selected. 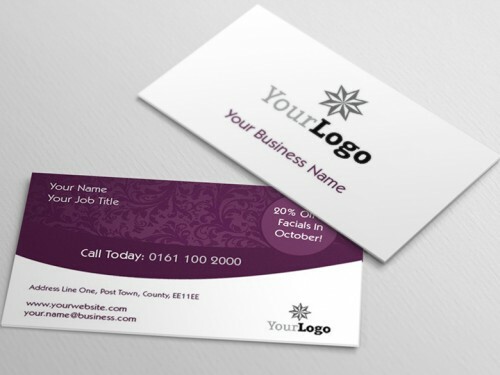 Bleed is a very important element that must be taken into consideration when creating any printed piece. Bleed refers to any artwork where colour is going to the edge of the page. You must provide additional colour or image outside the cut area. When items are cut down, they are in stacks from 100 to around 1000 depending on if it is Business cards or Letterheads etc. This is done to ensure that there is no white paper showing around the edge of a printed piece. We would also advise text and borders etc. be around 3mm away from the edge of the printed piece. Will my print colours be the same as I see on my computer screen? No. This is because the image you see on your screen is made up of RGB colours and your screen is in effect a big light bulb, so what you see is called additive colour. As paper cannot be illuminated, the ink colours do not have the benefit of enhancement by light, thus making them brighter (commonly referred to as subtractive colour). We do however calibrate our printers to ensure the best colour range possible. Many cameras also show a colour cast i.e. slightly yellow, or blue for instance. If this is very obvious we will adjust your image before printing. If in doubt we recommend you order a proof. If you do not order a proof you will be agreeing to accept any final prints unchecked. What type of file formats to you accept? Adobe Acrobat PDF format files are our preferred choice. PDF’s must be press optimised (print ready) with bleed, crop marks and fonts embedded. Illustrator files are acceptable, ideally saved in .EPS format. Bleed and crop marks must be included and all fonts converted to outlines. Photoshop or similar files should be supplied as 300dpi CMYK, TIF files with LZW off. Highest quality JPG is acceptable, bleed and crop marks must be included. Microsoft Word, Excel and PowerPoint files are acceptable, but ideally should be converted to PDF format. When creating PDF files please note that books or booklets over four pages must not be supplied as spread always create a PDF containing individual pages. This does not affect your original Quark or InDesign files which may have been set up as spreads. If your artwork requires bleed (i.e. if it extends off the edge of the page) you must allow 3mm bleed. We also recommend that any text is kept at least 5mm away from the edge of the page. Photographic images should be supplied as 300dpi CMYK. For lithographic print, images must be supplied in Pantone Spot Colours or CMYK format if full colour. For digital print, ideally images should be supplied in CMYK format. Help!! I need some advice – can you help me? Of course just call us on 0 30 30 30 0403 during normal office hours. We like helping people!